Note: As a passive (not active) subwoofer, the TFS50 does not accept a single Subwoofer or LFE (Low Frequency Effect) line as an input. With a built-in crossover, the TFS50 is designed to accept standard stereo inputs and will automatically separate the different bands of audio frequency. With its class-leading 3-way speaker design (10" woofer, 5.5" mid-range, 2" tweeter), TFS15 is the ultimate outdoor rock speaker that money can buy. There is no rock speaker in the market that can match the TFS15's massive power and range. TIC Manufacture One-Year Limited Warranty . 2" Mylar refractive Tweeter. Natural Rock finish with 3-color options: Canyon (CN), Slate (SL) or White Granite (WG). 8" Co-Axial Woofer Driver. A multi-use performance rock speaker to enhance any exterior landscape setting. 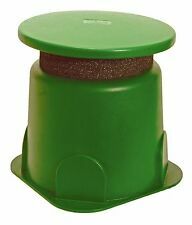 8" Injection-Molded Woofer With Butyl Rubber Surround. 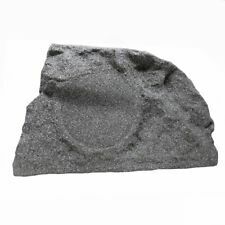 - 200-Watt Pro Series Outdoor Rock Speakers (Slate). We stand behind our products. Each model is available in two color options: black or white. Manufacturer: TIC. Color: black. Constructed with multi-layer composite cabinetry, the TFS series speaker is built to withstand most outdoor terrain conditions. The TFS speaker series is TIC's world renowned outdoor rock speaker series. Constructed with multi-layer composite cabinetry, the TFS series speaker is built to withstand most outdoor terrain conditions. 2-way co-axial driver (8" woofer, 1" tweeter). The TFS speaker series is TICs world renowned outdoor rock speaker series.